A back to basics post this week — here are a few longer articles and websites for you to peruse at your leisure. More popular [than the most elaborate footnote symbols], however, were less complex symbols, which could be added to the page much quicker. Dots and lines are particularly common ingredients of such footnote symbols. Interestingly, their first appearance (it seems to me) is not as a connector of comment and text, but as an insertion mark that added an omitted line into the text. […] This omission mark may well be the origins of the footnote system that would emerge over the course of the Middle Ages – and that we still use today, almost unchanged. Footnotes, in other words, those delicious pairings of unusual symbols (*, †, ‡, etc.) and pontificatory asides, are the products not of writers but of editors. 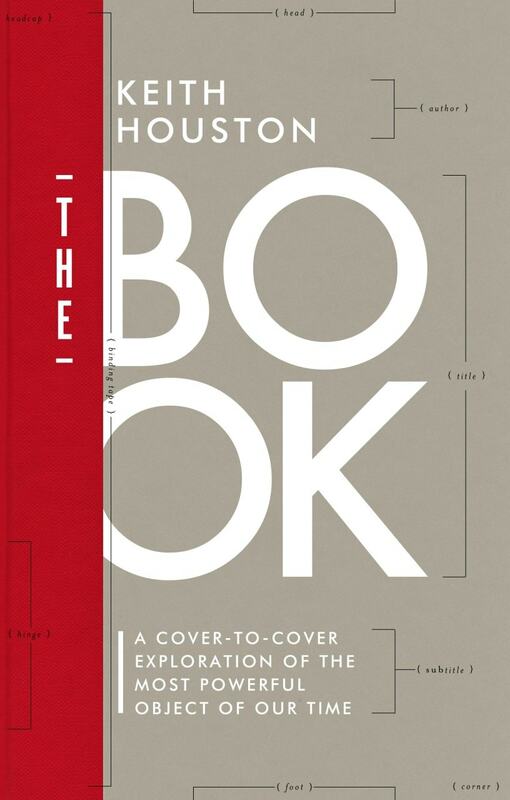 Where an editor found a line to be missing from a text, Erik says, they added it as a footnote as a courtesy to their readers and connected it to the text with an appropriate symbol. The Shady Characters book delves into the use of symbols such as the asterisk and dagger as footnote markers, but Erik’s post is the first time I’ve seen their ancient use as copyediting marks explicitly linked to their more familiar role as footnote markers. There’s much more to read at Erik’s website, but suffice it to say that his is a tantalising idea and one that I hope he explores further in the future. In other news, Shady Characters reader Hillel Smith writes to say that his new website Hebrew Type is up and running. Hillel is a graphic designer, illustrator and artist based in Los Angeles, and his site, comprising “a history of Jewish typography and bookmaking”, is both easy on the eye and an excellent read. Certainly, I’m hooked even after just a few entries. Take a look! Lastly, a little self-promotion! If you’ve ever wondered about the books that inspired and informed Shady Characters then take a look at my “shelfie” in yesterday’s Independent . (Spoiler alert: it contains precisely the sort of books that you imagine.) I’m simultaneously flattered to have been featured and disturbed that my description of Eric Gill was edited down from “beloved and controversial” to simply “beloved”. When it comes to that enthrallingly awful man, I don’t think you can separate the two. Also this week I contributed a piece to Slate’s “Lexicon Valley” blog on the history of the quotation mark. 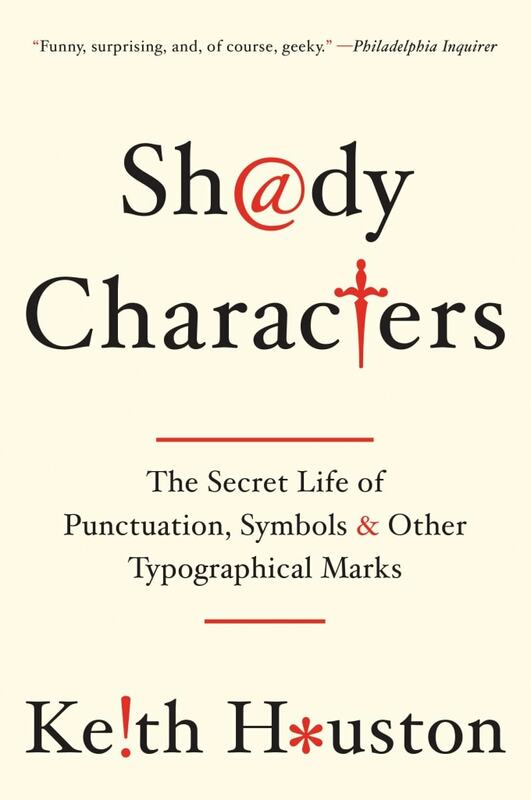 It’s derived from the Shady Characters chapter on the same subject, condensed in some parts and extended in others, and with all-new images of quotation marks through the ages. Have a read, and feel free to drop by here with any questions you might have. Enjoy! It’s paperback publication day (again, sort of)! I agree about Eric Gill. And if I were that Shelfie editor I would have left in “controversial” rather than “beloved,” simply because it’s a kickier concept. Probably no one would bother to find out more about a “beloved” person (boring! ), but controversial? Definitely. My thoughts exactly. Thanks for the comment! When I was visiting my sister in Ditchling last April we went to the village museum (a very good museum for a village — but probably you know that, as I expect someone with your interests has made the pilgrimage to Ditchling) in memory of Eric Gill his circle. I may be remembering wrongly, but my recollection is although they don’t exactly deny the nastier aspects of Gill’s character, they don’t lay a lot of emphasis on it, either. I haven’t made the pilgrimage yet, I’m afraid, but it has now been added to my to-do list. Have you read Fiona MacCarthy’s biography of Gill? Thanks! I’m glad you enjoyed it. It was fun to revisit the quotation mark chapter and to update it a little for Lexicon Valley . Have you read Fiona MacCarthy’s biography of Gill? I have now just finished it. Thanks for the suggestion. Probably because I already knew what sort of person Gill was I was less shocked than I thought I might be. What is perhaps just as shocking about it is that there must have been many people who knew perfectly well about his activities but chose to keep quiet about them. I have also just read Gill’s Essay on Typography — interesting in parts, but I found it a bit tedious when he sermonized about mechanization. I was baffled by the last chapter. Not at all! I hope you enjoyed the book. You’re spot on about the culture of silence that surrounded Gill. Commune or not (as his enclaves at Capel-y-ffin and Ditchling seemed almost to be), it’s amazing that no-one spoke up. Or was it that the media chose not to broadcast rumours about a respected artist? I’ve often wondered how he got away with it all. Essay is certainly not an engaging book in the conventional sense. Gill was a better sculptor and letter-cutter than he was a writer!